Infallible Techie: How to expire all users password in Salesforce? Kindly don't do this until it is really required. Doing this will send an email to all the users in your organization with a link to reset their password. 1. Go to Setup --> Administer --> Security Controls --> Expire All Passwords. 2. 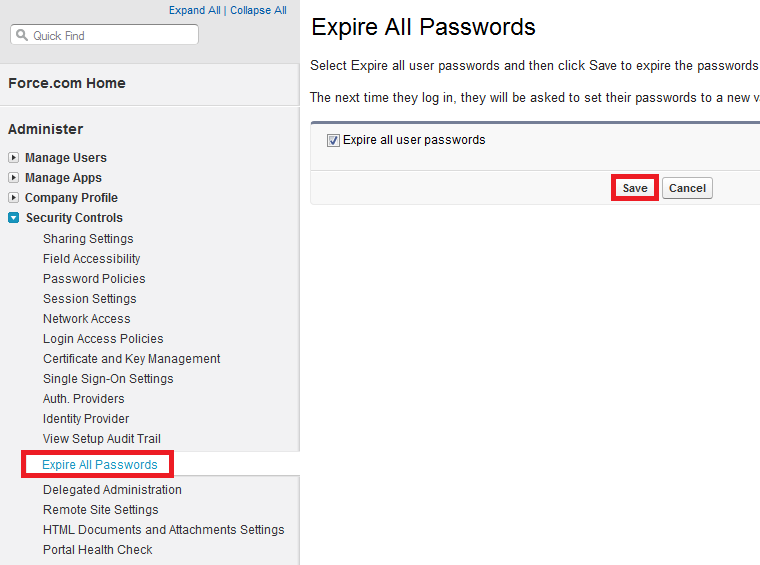 Enable "Expire all user passwords" check box.